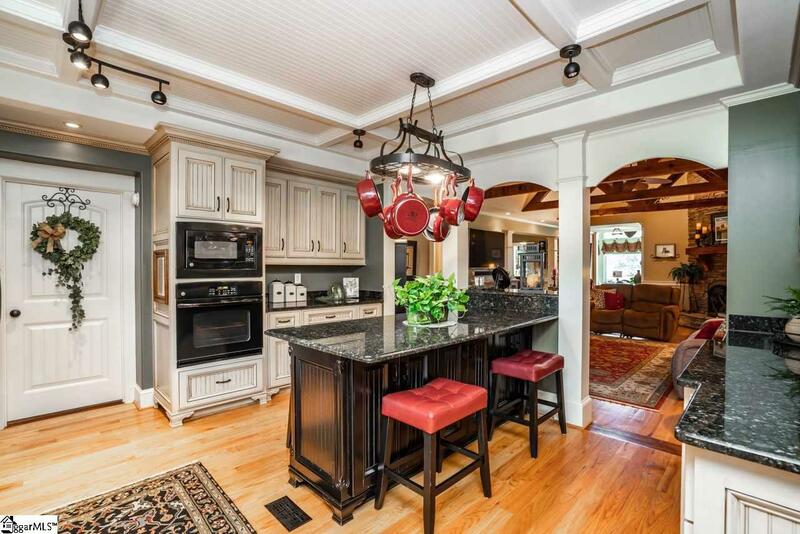 This gorgeous home sitting on a triple lot on Lake Bowen will blow you away. 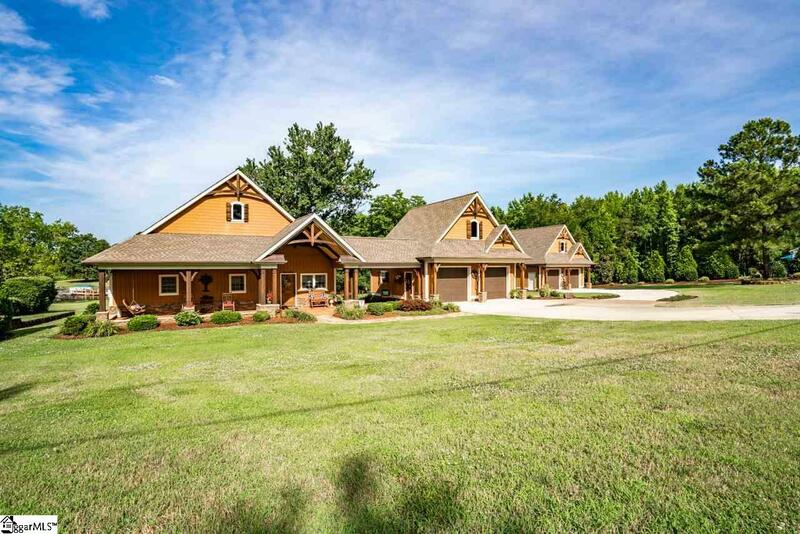 With 3 beds, 2-1/2 baths, 2 fireplaces, 1 attached two car garage, and a detached two car garage, there is plenty of space for entertaining and for the family. There is an additional bonus room above the attached garage and storage space galore throughout the house and in the detached garage. Walk outside to find the amazing, level outdoor space featuring lake access and a dock with a boat lift and jet ski ramps. 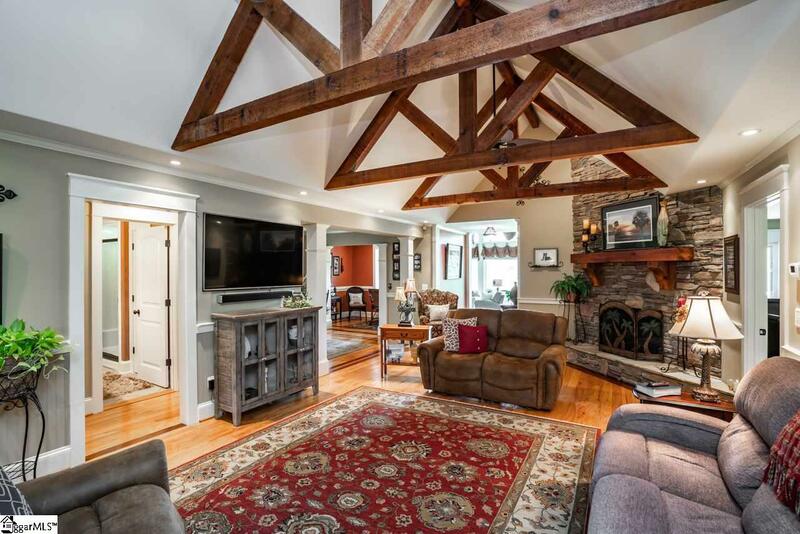 Walk inside to be greeted by an open floorpan and cedar beams throughout the house. The floor to ceiling stone fireplace, custom hardwoods, custom cabinetry, and trim work add to the detail and quality of the home. 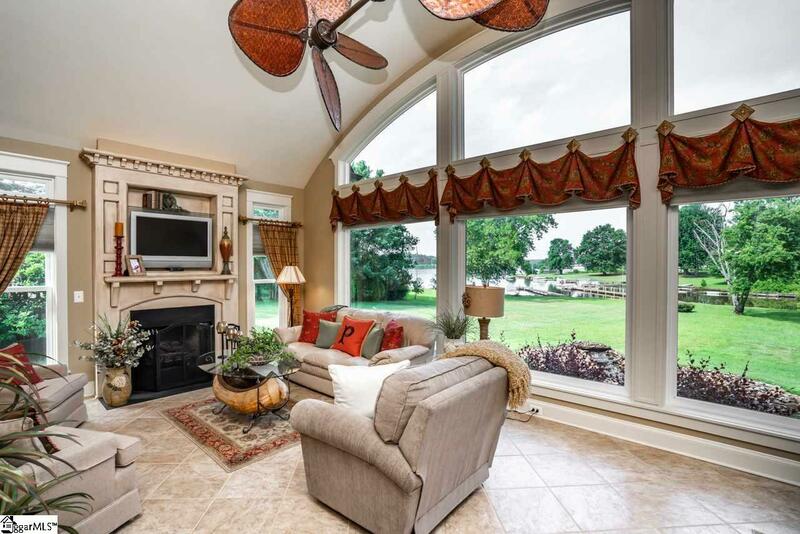 Enjoy gorgeous views of the lake throughout the house, including from the office and master bedroom. Your friends will love the outdoor entertainment area. With over 600 square feet of outdoor patio stone and brick, and a creek that features two stone water features wrapped around the house - you will never want to come inside! Listing provided courtesy of Lindsay Blanton of Coldwell Banker Caine Real Est.